Salesforce is a proven leader in customer relationship management. Consistently ranked by industry analysts like Gartner as a best-in-class solution, Salesforce is the market leader for a reason. This e-book explores what sets Salesforce apart from its competitors and how Salesforce creates tremendous success for its customers and partners. 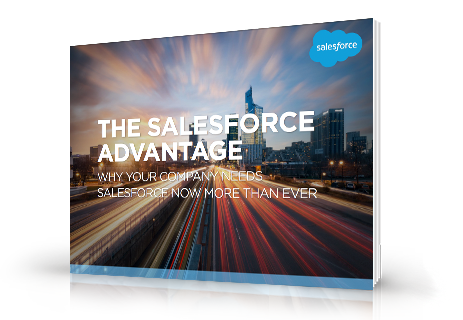 Download the free e-book today and feel the Salesforce Advantage for yourself!